Cairo Prince and Luis Saez winning the Holy Bull. Photo credit Lauren King. Though the last major points-earning preps took place on Saturday, April 12, the Kentucky Derby field continued to take shape through last week, with the inevitable defections due to injury. Significant withdrawals include Constitution, the Florida Derby winner trained by the multiple Eclipse Award winning Todd Pletcher, and Cairo Prince, owned in part by Dubai’s Sheikh Mohammed Al Maktoum, who bought an interest in the horse in February from Terrence Murray, Paul Braverman, Harvey Clarke, and Craig Robertson III, who continue to own a share of the three-year-old. 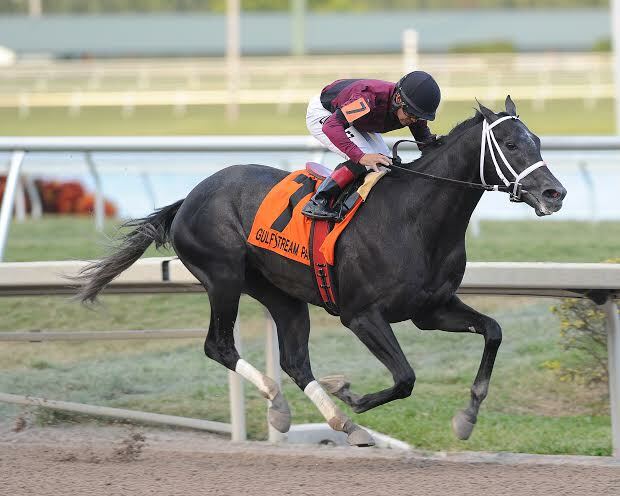 Last Monday, WinStar Farm, part owners of Constitution with Twin Creeks Racing Stable, announced that the horse had suffered a hairline fracture that won’t threaten his racing career but that will keep him out of the Kentucky Derby.